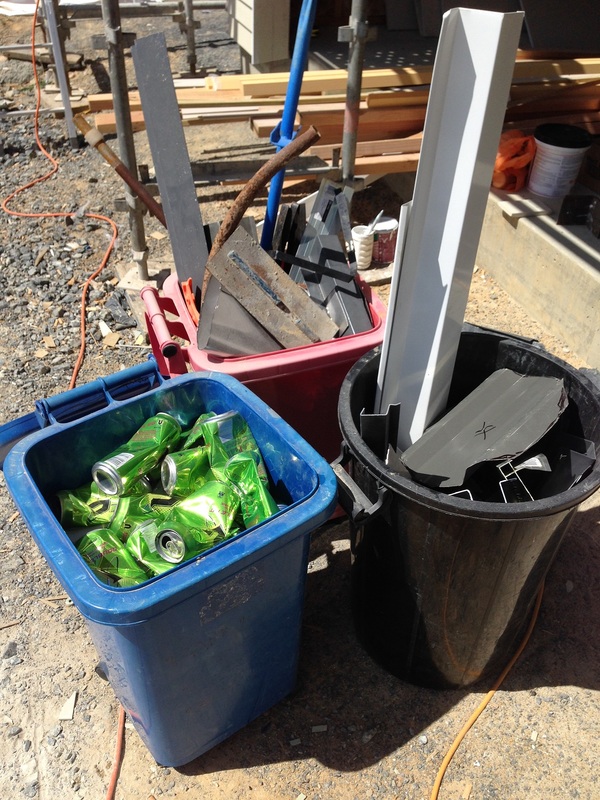 Sorting metal recycling from the site. 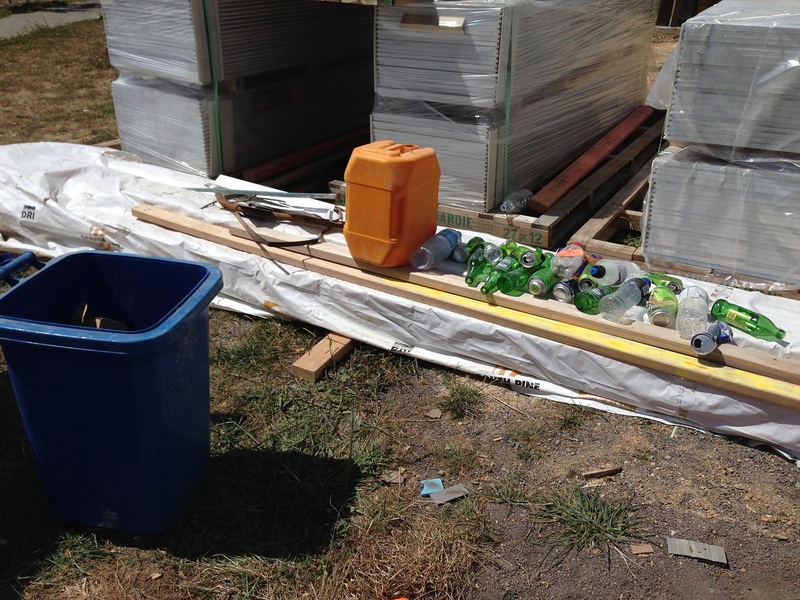 Thirsty builders! 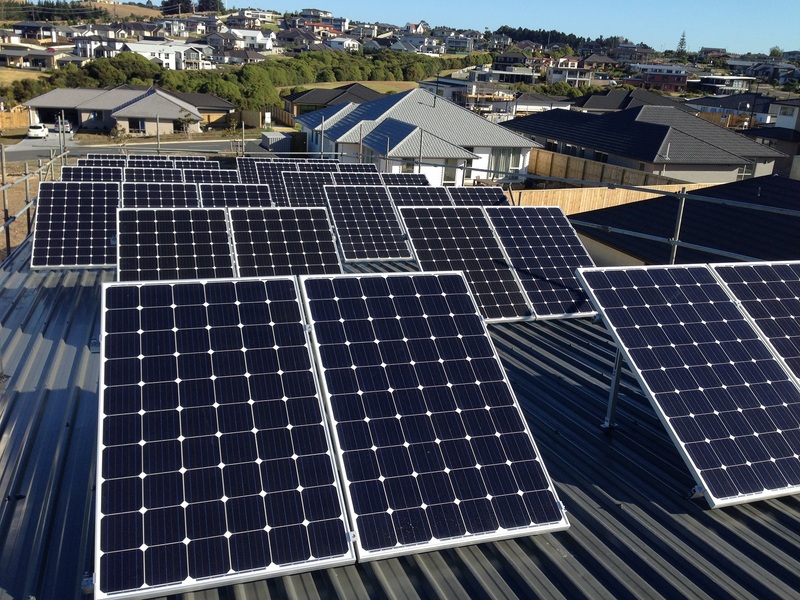 The 8kW Photovoltaic (PV array) with support from Ideal Electrical and Power Technology. More information to come on the system, how it’s installed etc. Inside shot of lounge area. 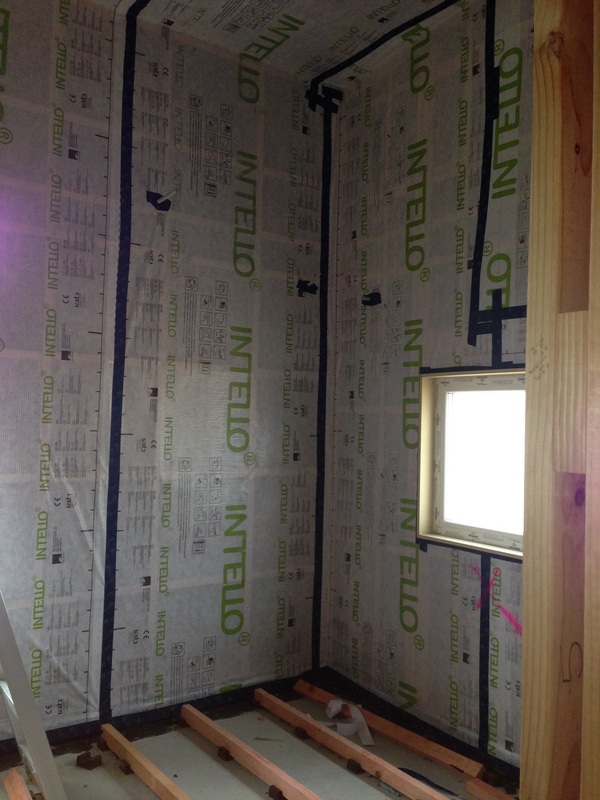 Exterior walls (and ceiling) are 90% lined with Intello from pro clima, for our air-tightness membrane. We should be doing our blower door test in about a week, once the final door hardware arrives from Europe to allow us to seal all the doors. 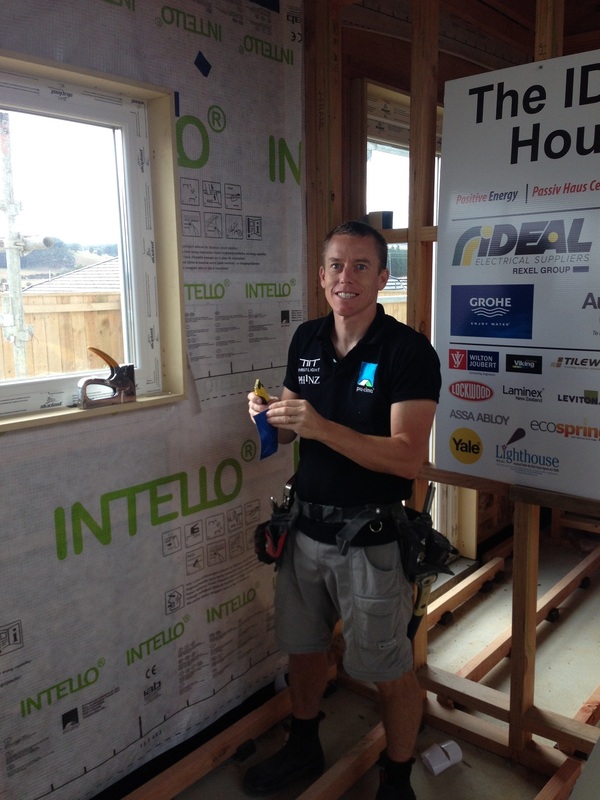 Jon Davies, from pro clima, giving some tips to the builders on how to install Intello. Looking down the stair well. Our bamboo stairs from Top Flyte stairs are being delivered on Monday! Upstairs master bedroom. 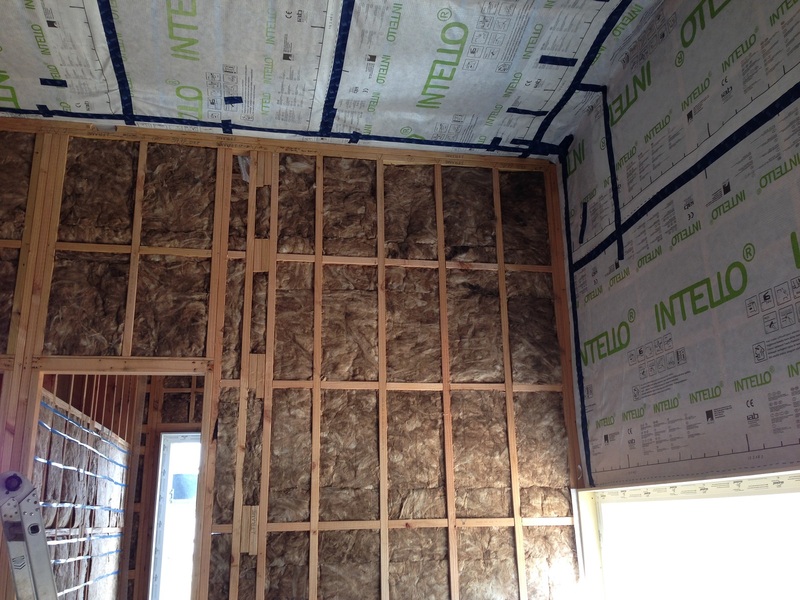 Intello membrane from pro clima. 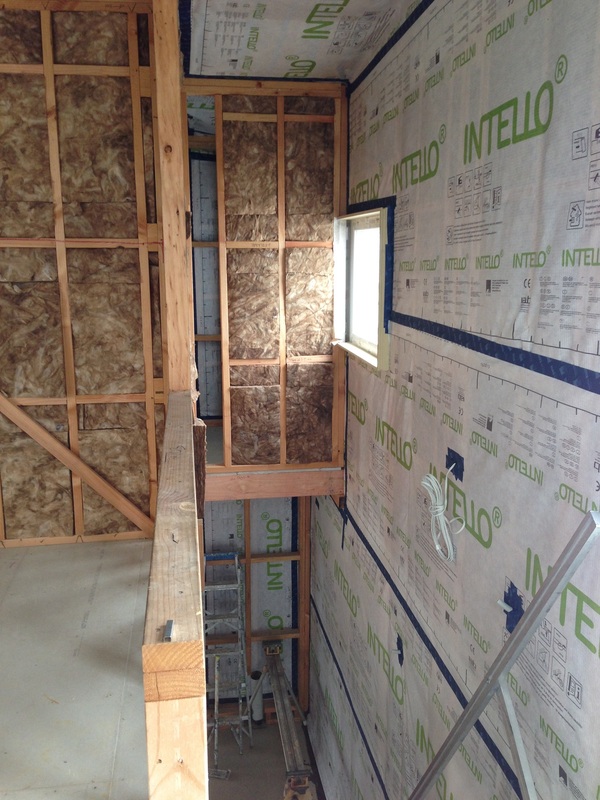 Bale of Earthwool® for our 50mm internal cavity (to be installed over Intello when we pass the first air-tightness test). 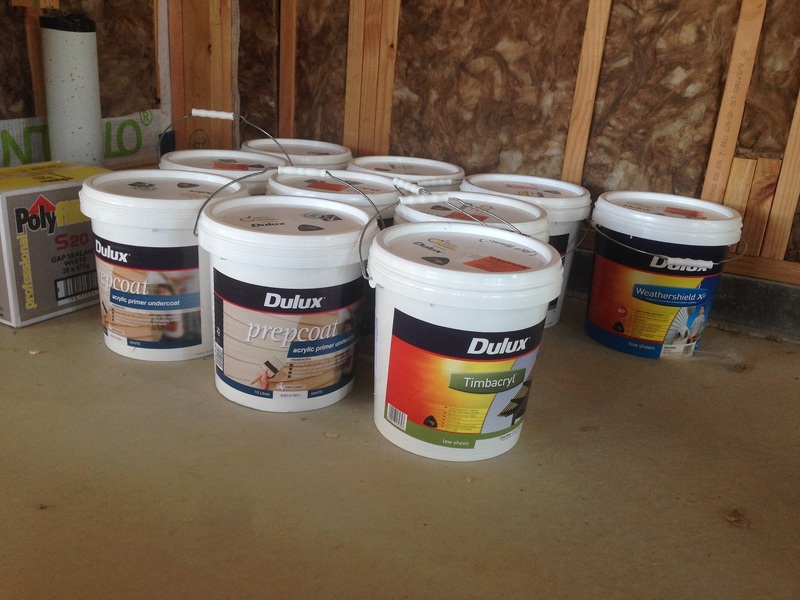 Our outside paint ready to go on, thanks to the support from Dulux! 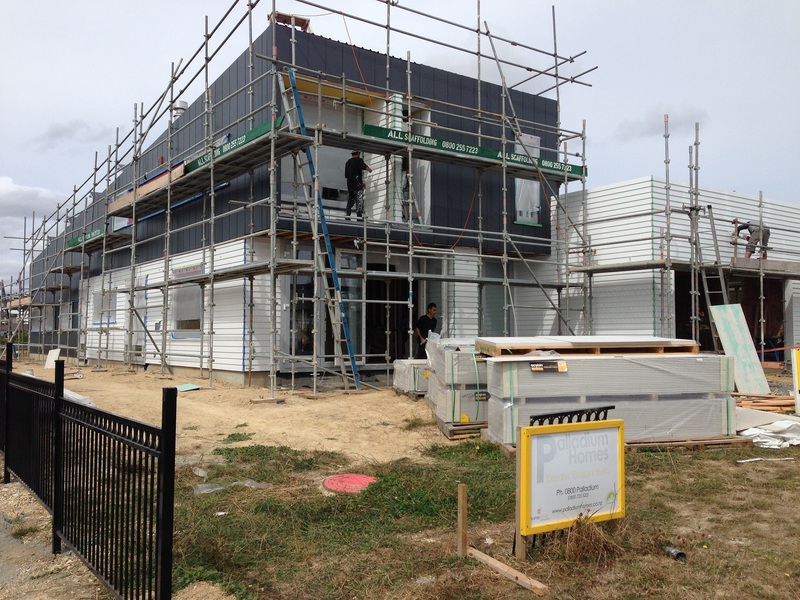 We chose Grey Friars for the James Hardie Stria® cladding, and Appliance White for the James Hardie Linea® weatherboards (and flashings). 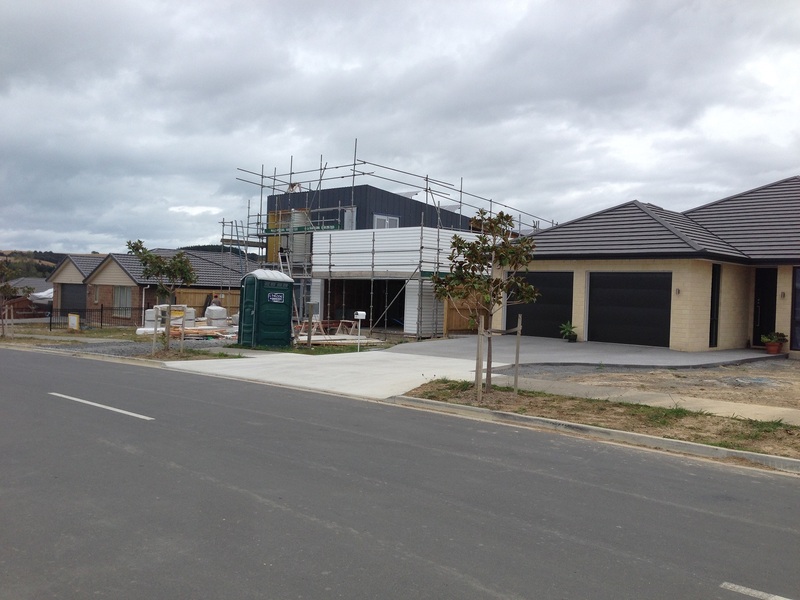 The house stands out on the street, and the scaffolding is to come down next week. 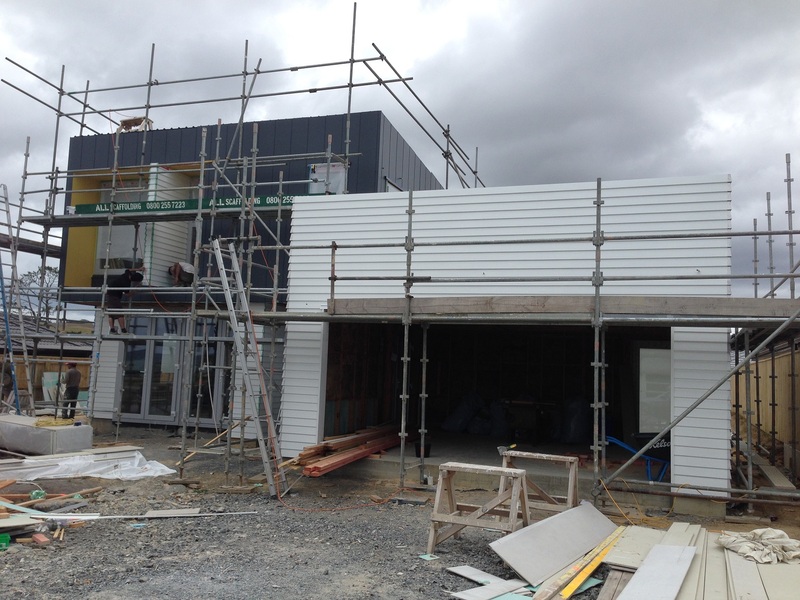 Our painters finishing up the exterior. 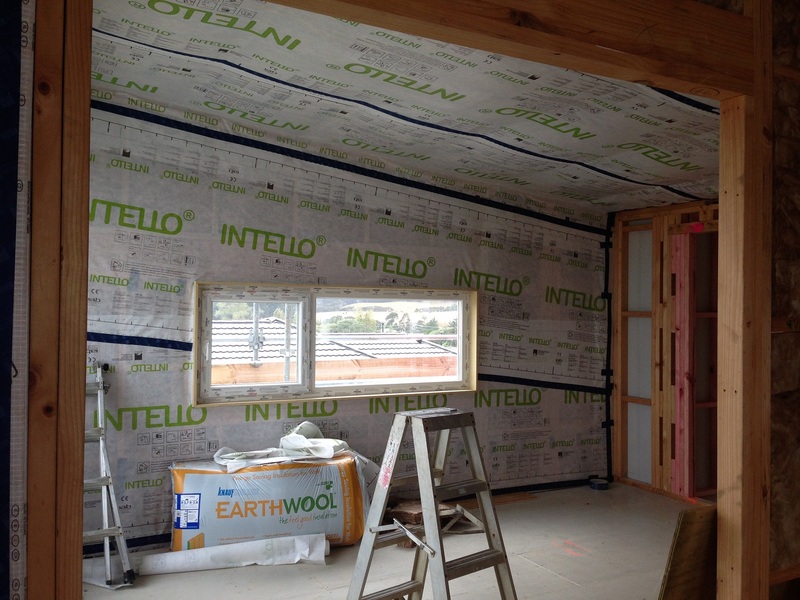 Earthwool® in the kids central play area, with Intello wrapping over the walls and ceiling. 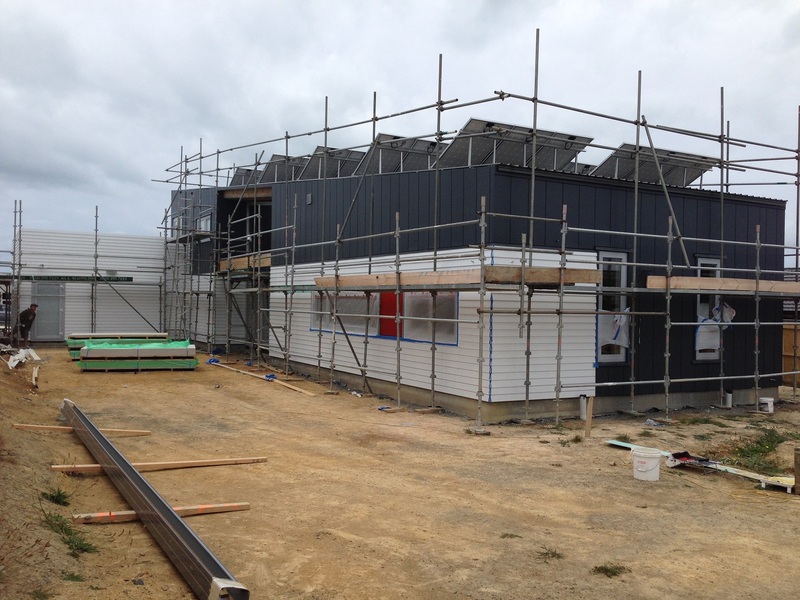 South/East corner of the home. 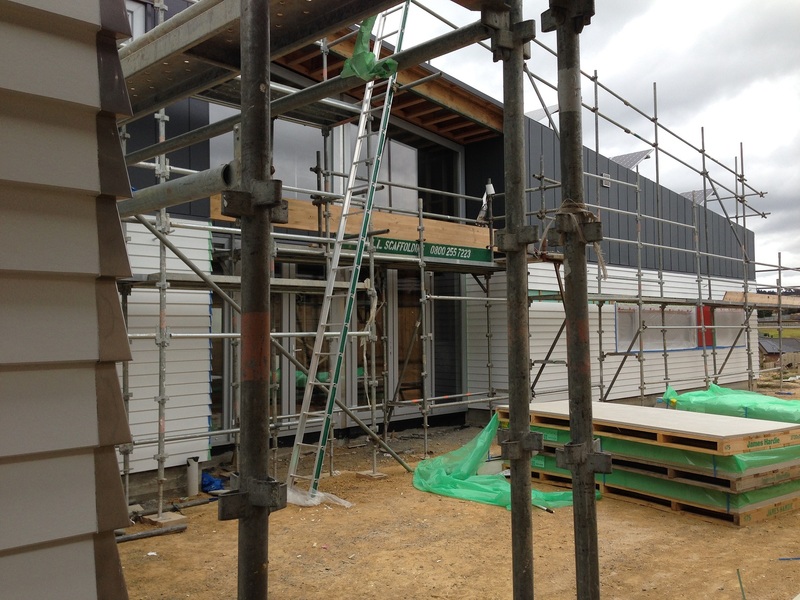 Finishing the exterior paint. 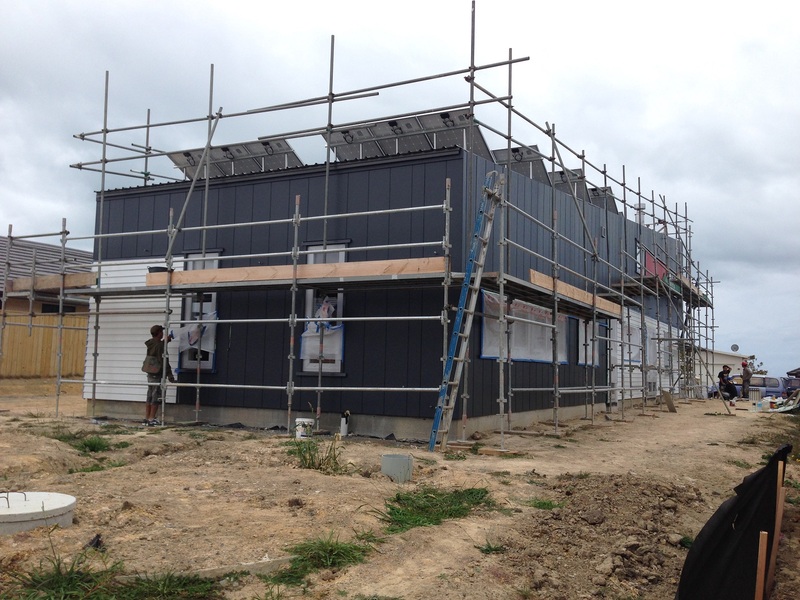 PV panels in plain view. 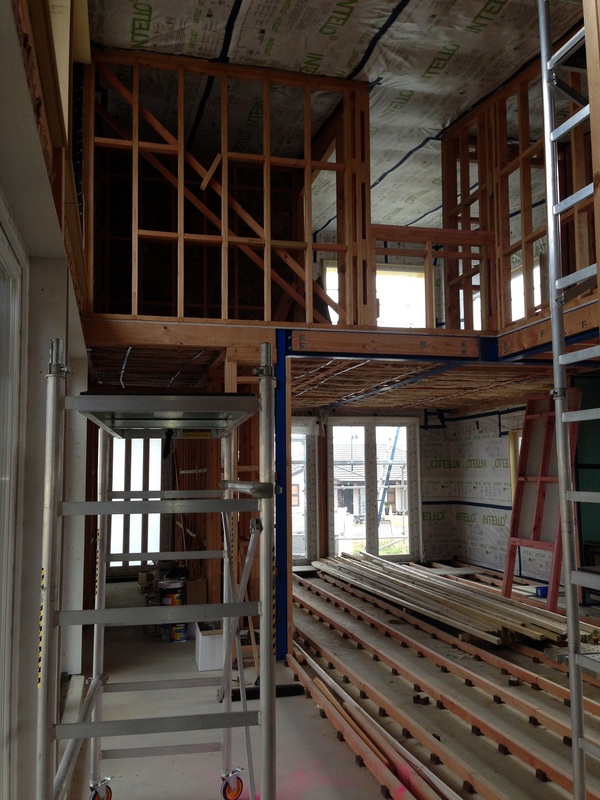 Looking over to the middle of the Eastern side, vaulted windows which will soon have a pergola and vertical louvres.